I am excited you are here and I look forward to see what you have to share. 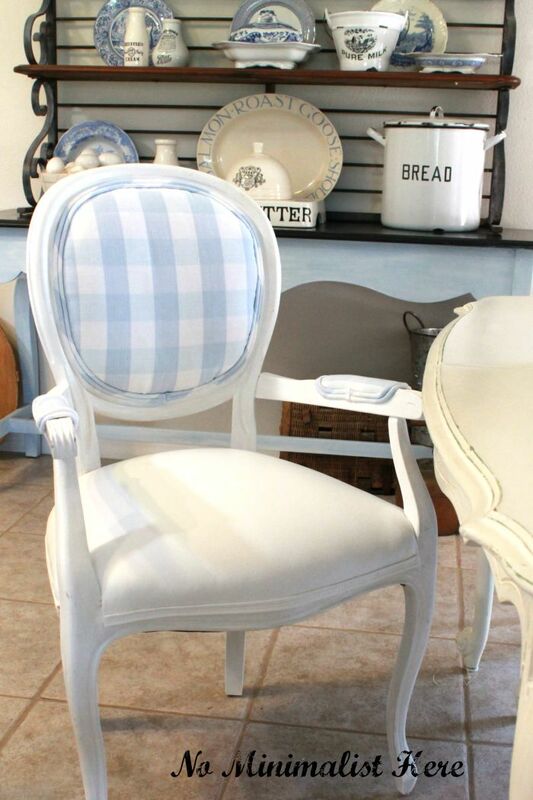 So far this week I posted about finally getting my French chairs upholstered. It was a long process but they turned out great. Slow Cooker Carnitas is one of my families favorite meals and I had to share this delicious recipe with you. Thanks for dropping by and for your support of our party. Debra is our host this week so I’ll turn it over to her. Glad you’re here to Share Your Style! then please read on, I have a little blogging news. 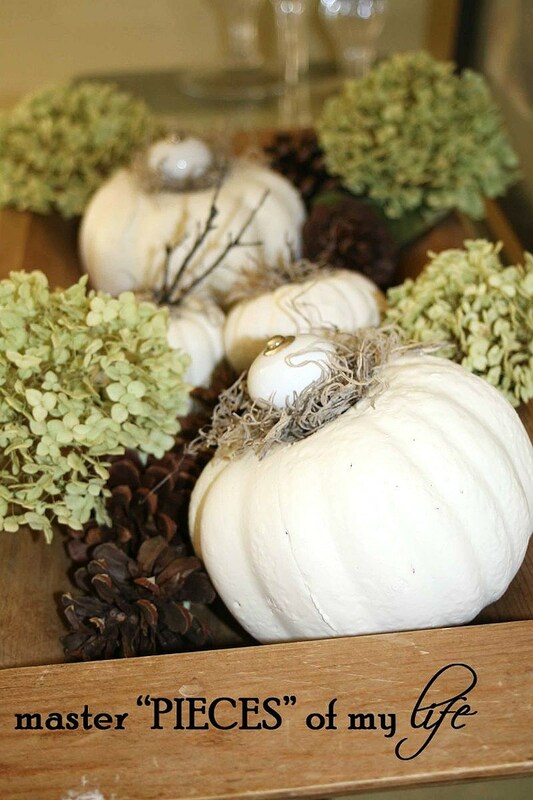 to take Dollar Tree pumpkins and make them over 4 different ways! pssst...I think the moss covered ones are my favorite! 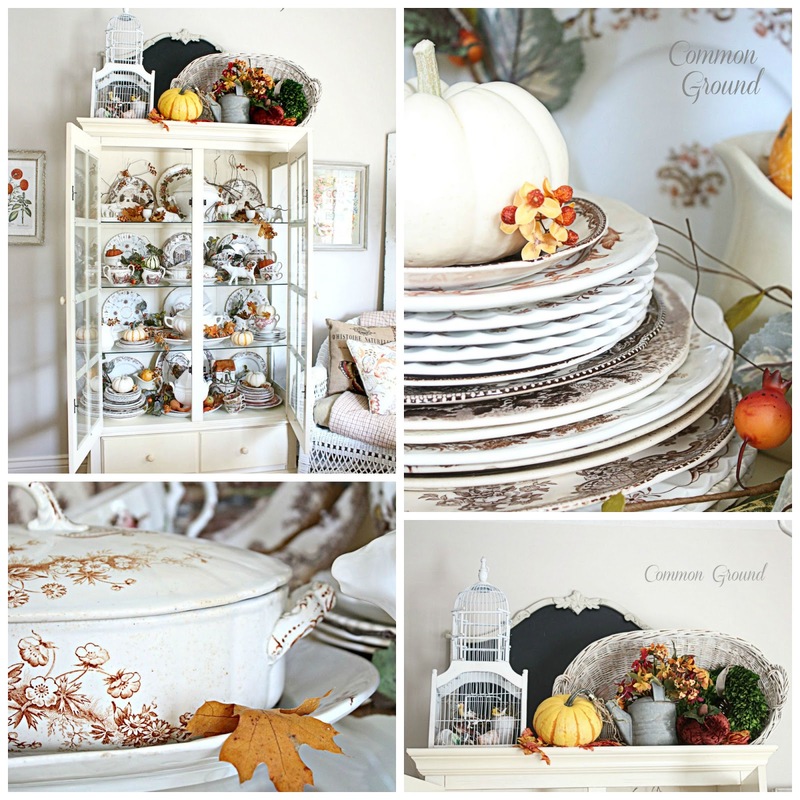 my China Cupboard a Fall Makeover, Here and Here. Thank you Sherry for Share Your Style Party. Appreciated joining in. I will say goodbye to your party and will continue to read your posts. 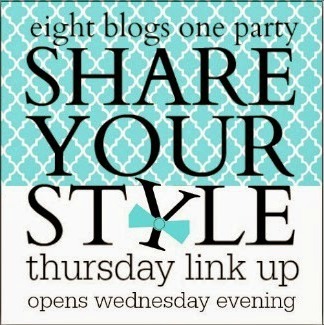 Joy, I hope you will continue to link to the Share Your Style party. Debra will no longer be co-hosting but you can still link up here or with any of the six other host. Hope to see you at next weeks party. Thanks for clearing up my confusion Sherry. I re-read this posts and yes, it is Debra (not you) who will not be part of the Share Your Style Party. WHEW. Glad you wrote a comment on my blog so I could come back to your post. What a fun party!! So glad to participate! Sherry, this week features are lovely! Thanks so much for hosting!